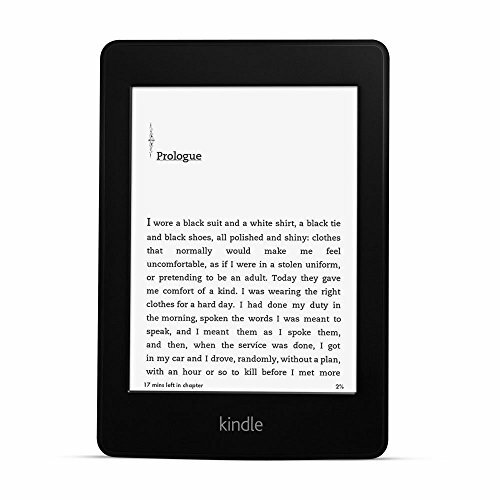 I love reading books and when the new ebook readers came out I was hesitant to buy one because I thought I would always want to hold that book in my hands. Little did I know. At Christmas I received my new Amazon Kindle and I have loved it from the very start. It is so much easier to read than a regular book and there are so many different choices available from the Kindle store on Amazon. You can store books on the Kindle to read, delete them when you are finished, and retrieve them any time you want to look at them again. What could be better than that? On this page I will share some of the books I have read on Kindle in the past 5 months and then later on the page I will share a list of books that I have downloaded and plan to read. Here is the list of books I have read since Christmas on Kindle. Below are some of my thoughts on the books I really enjoyed. I enjoyed reading Elizabeth Street so much that I selected it for my bookclub read for the month of May. This book based on the true story of the authors great grandmother, Giovanni. It follows Giovanni from her life as a young girl in Italy to her arrival in New York City and the struggles she encounters building a life in the new country. This book provided some great discussion in our book club. Everyone agreed it was a very interesting book. This book is about a Denver homicide detective who is on the verge of a breakdown herself when she is cast into the role of protector for a young girl. The girls parents have been murdered and the author spins a tale of mystery and suspense around the protection of the young girl. The relationship between the detective and the girl is key to the story. I found the book to be very compelling. This book, like many of the Kindle ones that I have read, I came across when I looked for free and inexpensive books for the Kindle. Some I read a few pages and decide they are not for me and I delete them and others introduce me to a new author that I really like. This was one where I really enjoyed this author and will look for her books in the future. I am currently reading this book by Ariel Allison. This book is about a plot to steal the Hope Diamond from the Smithsonian. It is full of suspense as it tells the history of the Hope Diamond and chapters go between the 1600's in India and Russia and the current time in Washington DC. Here is a Kindle booklist of books I have downloaded to my Kindle but have not yet read. I am always looking for new books to add to my Kindlelist so please leave me a comment if you have one to reccomend. Best Buy I've made all year! I just got my Kindle today- I'm reading everything I can find about it- thanks! I've had a Kindle for years and absolutely love it. Nothing better for traveling or reading away from home. I do enjoy Joy Fielding and James Patterson although I haven't read those two books that you mention. You are quite the avid reader. How do you find the time? I don't have a Kindle Reader; but I've downloaded the PC Kindle version and have quite a long list of downloaded books to read. Now I need to find the time to read them. Your Kindle book list looks great. I still read those old fashioned books but a reader sounds great! You read alot. I don't have a kindle, but I wish I did. I've decided I want a Kindle with 3G. I'm always taking a book with me and sometimes they are so heavy. Me too. Kindle is on my wish list. Not sure whether to use KDP, to enter Select or whether your ebook can be sold on Amazon without being exclusive? This is a quick and unofficial guide. 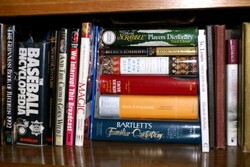 The story of how a printed book lover got her mind opened to the daily use of ebooks. It's not that bad.